Tussle and Triumph in conversation with Jason Samuel. Jason aims to connect the design industry and student community by constructing a creative bridge for growth and experience. Constantly dedicated to making the world a better place, Prodotype’s Elite Student R&D group, DRONES, under Jason’s expert guidance, is committed to the development of community-based projects and innovations. Having worked with over 20 prestigious clients, Jason’s passion and drive fuels Prodotype’s success. How did you connect with your co-founder Suraj? 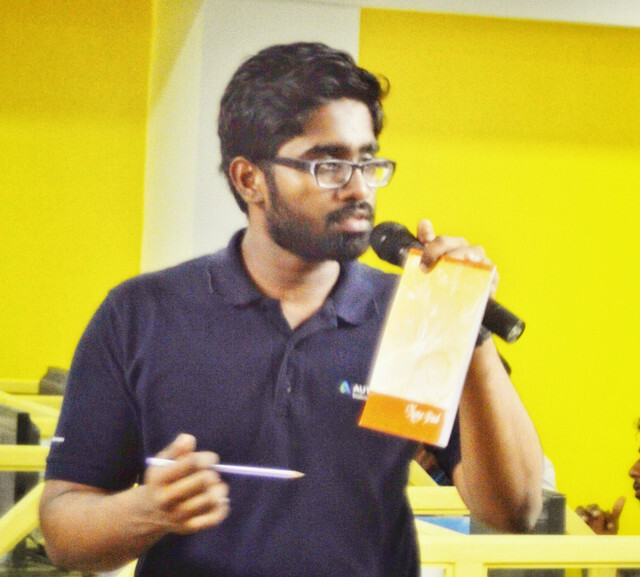 I was selected as top 50 for an Autodesk Designathon and co-founder of Prodotype Suraj was my mentor there. I went on to win the competition and started working on small student Educational initiatives for Autodesk where Suraj and I conducted the workshop together. As our goals and mindset were similar and we decided to work together to bring the change the industry badly needs. What is the uniqueness of your Startup? As a Startup, I will be doing a big mistake if I follow what every other traditional firm/company is doing. As most of our designers were trained with Autodesk software, we decided to do something awesome that will set us apart. Something remarkable that can help us reduce overheads and huge costs so that the costs saved can be passed on to the clients so that they can afford it. We decided to work all our designs on one of the latest software where the designs are worked, stored in the cloud. Not only one, a team can work on the same design at the same time. This eliminates the need for the team to come to one particular place (office) to do the work. Thus we have a fully equipped professional team who are working in the comfort of their homes with no fixed working hours although they have a minimum number of working hours per week which they can fill in at any time they wish to. We found that the productivity has increased with the employees since they are comfortable enough. Since we don’t incur any such expenses, we don’t burden the client with these costs. This enables us to do designs for a far lesser price than what our competitors are offering. Talk about two main important unique stuff which every client wants. Time and Money! We have brought them both down. As I worked on product design core for a very long time, I was consulted by many industrial connections on their problems. I found that they didn’t know whom to approach and even if they approach big design firms, either they don’t give much importance to the problem or their monetary budget is something that these industries cannot afford. I found an opportunity and decided to make the best of it. “We are trying to solve the problems that the Industries in various fields are facing. Be it manufacturing something new, Be it a new machine that they need, Be it a hack to increase their productivity, Be it a hack to increase their design and aesthetics of their product, We will solve it. Our portfolio shows us how successful our projects are and the testimonials show how much the clients value it. For example, we had a client from food processing industry who approached us with the problem that he is facing. He is processing garlic. But, he had trouble with manual labor as they can process/clean only 50 kg per hour. Though he has huge demand, he is not able to build it. We gave him a solution and designed a machine which can process 500 kg per hour which increased his production. Since his costs are reduced, he was able to sell a cleaner, much better food product for a lesser cost than his competitors, immediately taking them out of the market. We at Prodotype believe that every customer who comes to us has a problem that is worth solving and we believe and put in our efforts as if it’s a big problem and we give the same importance to all the problems. Our main aim is to design and solve. Our Finances were completely bootstrapped as the Founders were successful enough in their individual streams. The revenue model is per design based. We charge for each design. Our costs aren’t fixed except for the base cost. We generally custom tailor our quotes for the client based on their specifications and need. Our Core Team was from a strongly established network from Autodesk. We drafted an organizational structure while we launched the firm and everyone immediately were ready due to our previous bond. We are continuously building for greater strength and towards greater height. How are you marketing your product and services to reach out to customers? We have generated leads till now through our strong Word of Mouth connection, Happy clients referring their friends, etc. Although we maintain a strong social media connection on Facebook and Instagram through which we manage to spread our word. Since we had a strong personal network, we didn’t have trouble getting our first customer through word of mouth. Mostly B2B. Industries, Production Plants, Institutions, Organizations, High Profile Clients. We are targeting the recruitment of more able designers so that we are capable of accepting more projects. We believe in completing several short-term goals so that the big long-term goal gets completed automatically. So we are concentrating and taking it one at a time. “Personal-Grind, Be humble, Stay low-key, Take care of your health.